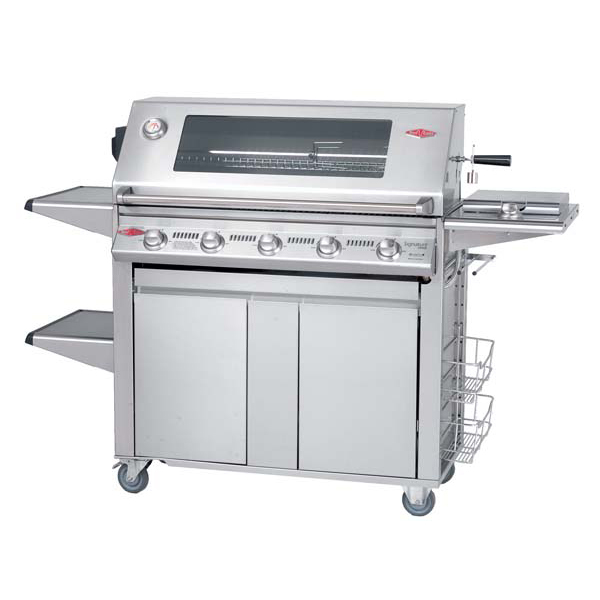 The BeefEater Signature Premium Plus 5 Burner Gas Barbecue is a full stainless steel gas barbecue. A stainless trolley with 5 Independently controlled Stainless Steel burners, powerful stainless steel side burner and a massive cooking area of 4704 sqcm. Heavy duty stainless steel vaporizers. A generous size combines with masses of storage space in the 'Plus' trolley. One of our most popular choices. This number is really one to get the heat 'pumpin'. With its stainless steel cooktops and heaps of available cooking space with total power of 110000 BTU, you can't get much bigger or more powerful than this. Go ahead and feed the masses.